At walls and furniture mostly round forms are applied. For round forms of a 90 degrees angle plywood angle profile are the most practical solution. Okoume cut veneers are glued in a mould and are built with veneer on the visible and opposite site. After pressing the profiles are sawn. The profiles are available with a radius of 30, 40, 70 and 100 mm. The profiles can also be made to order with a top layer of HPL décor. Lambriflex ® flexible panels are available as manufacturer’s plate and if veneered plate. 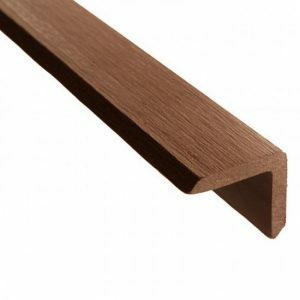 The construction panel exists of 3 layers cut veneer and can be bent in the breaths or length direction depending on the construction of the cut veneer For this quality product only error-free Ceiba manufactured rotary cut veneer are taken for the external sides and Koto rotary cut veneer for the core. The glue is low on formaldehyde. After pressing the plates are sawed and sanded. Compared to other flexible construction panels Lambriflex panels ®are more flexible and stronger. Lambriflex ® flexible veneered plates are available in three versions. bending-HDF, high density HDF core plate with veneer on the visible side and okoumé rotary cut veneer to the counter side. End thickness approx. 2,5 mm. Can also be produced as fire retardant B-s2-d0 and in blank lacquered version.